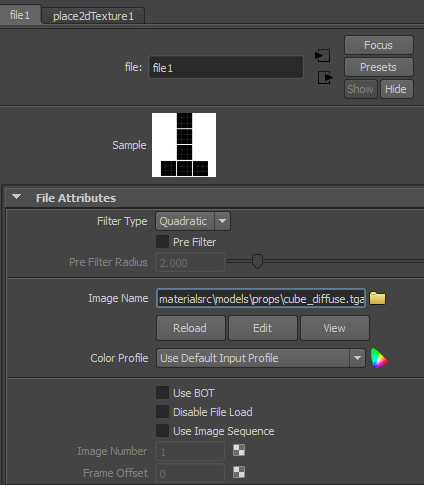 This step resumes how to set and use the texture maps (Diffuse , Normal and alpha ) . The name of the TGA will become the name of the Materials file ( VMT ), than the SMD Reference file will request. 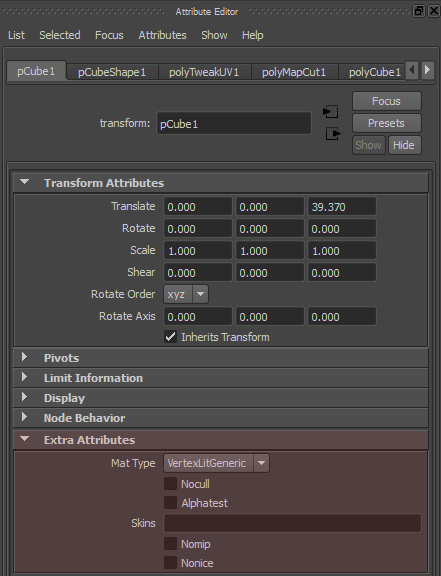 If your diffuse texture map is named cube.tga, Vtex will compile the texture and name it respectively “cube.vtf” and “cube.vmt”. Select your model and display the MESA shelf, and click on the “VMT Attributes” icon (add attributes). This operation will add some attributes on the main node of your object in the attribute editor, into extra attributes section. 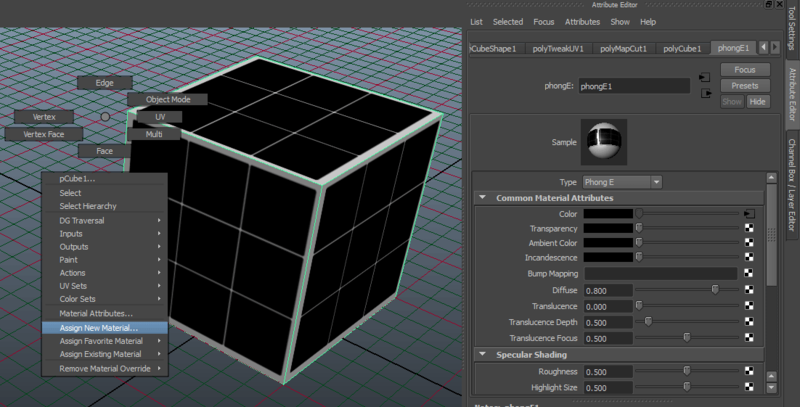 The normal map must to be added into the Bump Mapping channel of the phongE shader. Best practices in Source engine concerning the use of alpha channel, consist to create a separated materials, that only contains the polygons that must to receive the transparency. For instance on character model, you would create one material for the main body/cloths/head, and create a second material onto the one you will put the teeth or hair that must to receive this transparency. Don’t forget to check the extra attributes if you are using the transparency.